Pleasant gardens surround this Edwardian Mansion - Hill of Tarvit designed by Lorimer who lived at Kellie Castle. 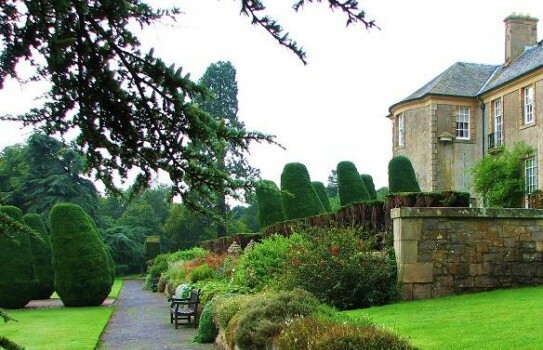 Hill of Tarvit Gardens has formal lawns, yew hedging, flowering borders and a sunken rose garden. The semi walled garden to the north contains sumptuous mixed borders and from here you can follow the paths to the hilltop viewpoint and the wider estate. Worth seeing if combined with a visit to the House which is a good example of fine living for gentlemen and ladies! There are other lovely gardens in the area including Falkland Palace and Kellie Castle. Take time to see them. If you want to take a break near Hill of Tarvit Gardens, why not stay in one of our recommended hotels. Each hotel has genuine guest reviews enabling you to book from anywhere in the world in total confidence. Look now - click here.